Have you been to our Birthday bash ? Good Morning to you all, I hope your weekend is going well. It's mid month for our April Birthday challenge and we are thrilled to see so many of you joining in our Birthday celebrations. But if you've not had time to take part yet, fear not because you still have two weeks to enter the challenge and join in the blog hop and with so many prizes on offer I know you won't want to miss out. And remember if you have already entered a card, you can join in again with something else such as a box, tag, l/o, in fact anything other than another card. As well as the fabby markers, there are loads of new goodies arriving at Stampalot every day so I thought I would share a few tasters and if you click on the pictures below you will go straight to the items and can read a bit more about them all. 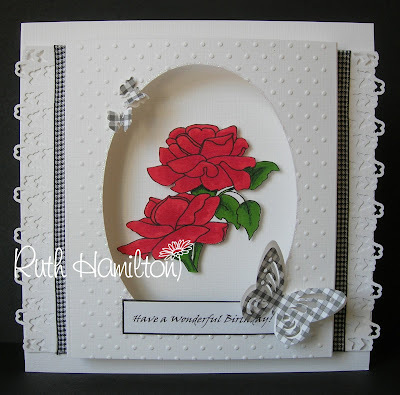 I also have a few cards to share as Janice set me a challenge to create a few using some of the latest products. If you want to know more about what I did on them or specific colours used please do pop over to my blog where I explain in more detail. 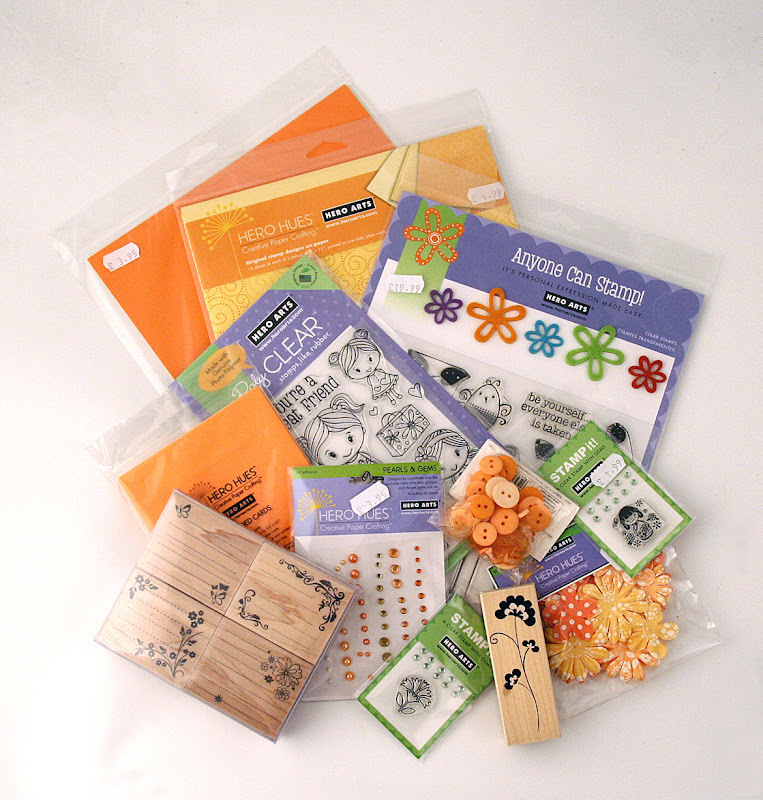 But I have listed the main items under each picture so you have an idea what I used. fabulous value at £1.45 a sheet. 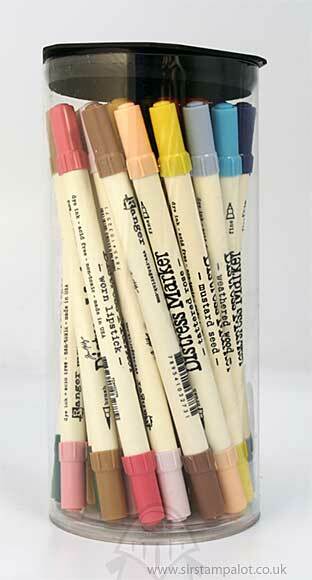 I think I am most excited about the distress markers, they come in all the same colours as the inkpads so you can blend everything perfectly. One of my favourite stamping techniques is inking the stamp and spritzing with water before stamping and for me this is where the new markers really come into their own as you can colour the smallest elements without bleeding, if you look at the card above you will see I even managed to get some blue into the middle of the leaves and it stayed put. 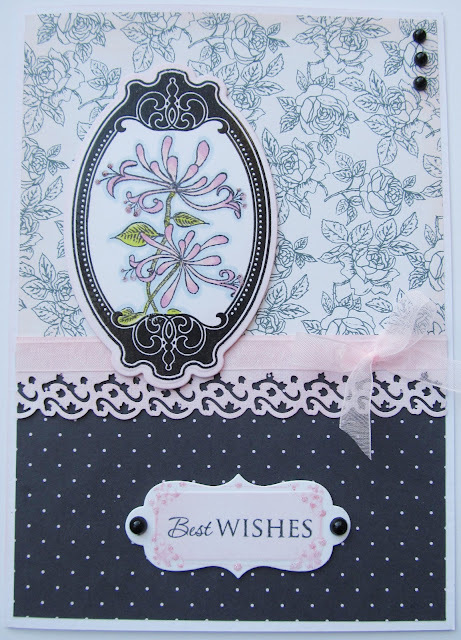 some soft sponging using the same colour distress inks and some punched butterflies. Just one more share, time sort of got the better of me and these three cards were as far as I got, must try harder ! Have a good Sunday everyone. Before I tell you about the rest of this months fun activities, a reminder that the Sir Stampalot website is being constantly updated with new crafty goodies. In the last couple of days the Stampy guys have been busy as ever updating the What's New section of the website and added pages of fabby new gems, pearls and other embellies from Hobby House. The pearls and gems are a real steal at just £1.45 a sheet and guess who's already got hers on order ? And which colours you ask.......well I lack any self control when it comes to sparkly bits so quite a few of them I have to confess. Here's the list of names you need to follow, each one will tell you where you should have arrived from and where you need to go next, but if you get lost you can always come back here and start again and don't forget you need to leave a comment at each blog, otherwise you won't be in the draw for their individucal prizes. 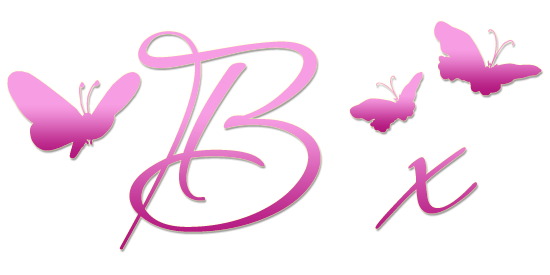 Just a reminder, you need to mail me brenda@ibas.co.uk with the two words you have made with the letters collected from the blogs above before noon GMT on 30th April. Note about linking your work: If Mr Linky won't accept your picture link, select the 'gravatar' option. It won't show your card, but we will know you have entered and the DT can visit you.